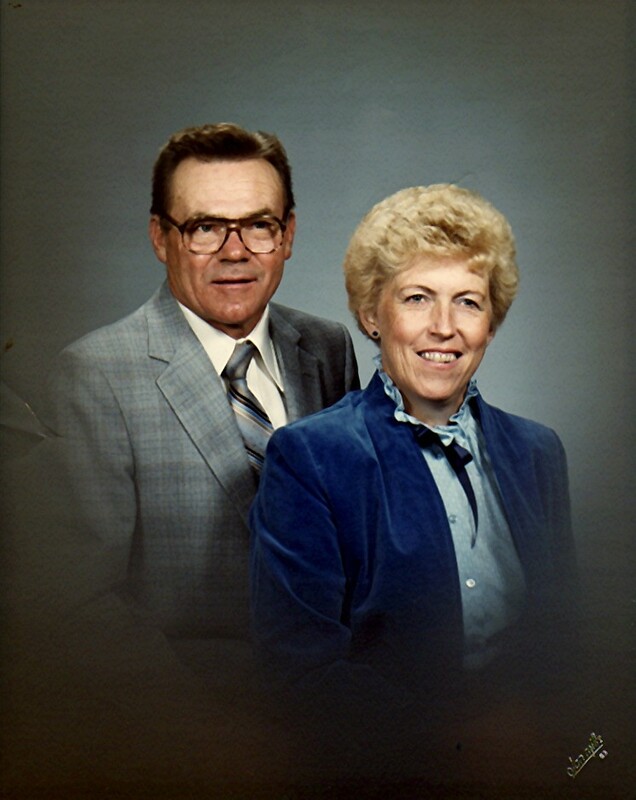 Aunt Geraldine “Jerri” Pitcher Jonas passed away in May. I wish to share her obituary and a number of photos I have of her. Geraldine ‘Jerri’ Jonas, 85, returned to our Heavenly Father on 26 May 2016. She was born 1 October 1930 in Smithfield, Cache, Utah to Mary Geraldine Fulkerson and Ronald Nelson Pitcher. 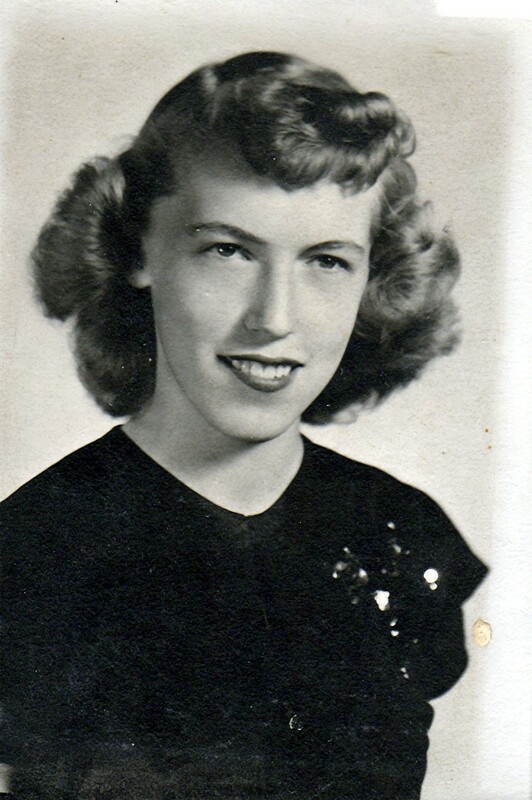 She grew up in Smithfield and graduated from North Cache High School in Richmond, Cache, Utah, in 1948. She married Ellis Seth Jonas on 18 August 1947. They were sealed in the Logan Utah LDS Temple on 24 April 1964. She was very industrious and resourceful in all she did. She spent many hours working in her flower gardens, surrounding herself with the beauty they brought. She took many horticulture and flower design classes at Utah State University prior to opening Jerri’s Floral and Greenhouse in 1976. Her successful business lasted for over 24 years before she retired. 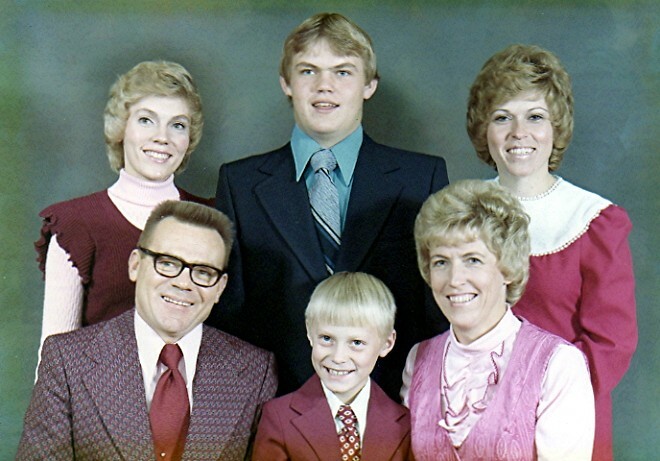 Jerri was an active member of The Church of Jesus Christ of Latter-day Saints. She served as Relief Society president, Primary president, and as a counselor in the stake Young Women’s presidency along with many other callings. 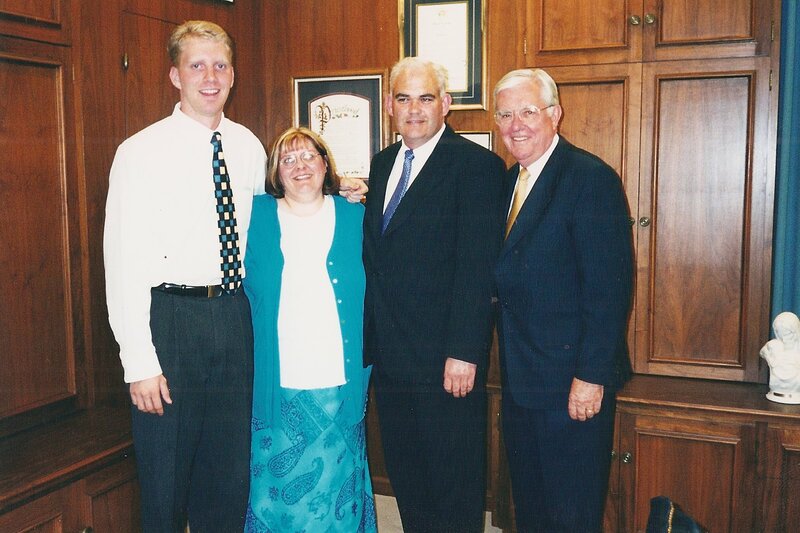 She served a LDS full-time mission with her husband, Ellis Seth Jonas, in the Arkansas Little Rock Mission from 1993-94. She was very active in community service for Smithfield and Cache County. She played a big part in designing and making floats for Smithfield Health Days. She was known and appreciated by all who knew for her willingness to serve. She is our beloved mother, grandmother, great-grandmother, wife and friend. 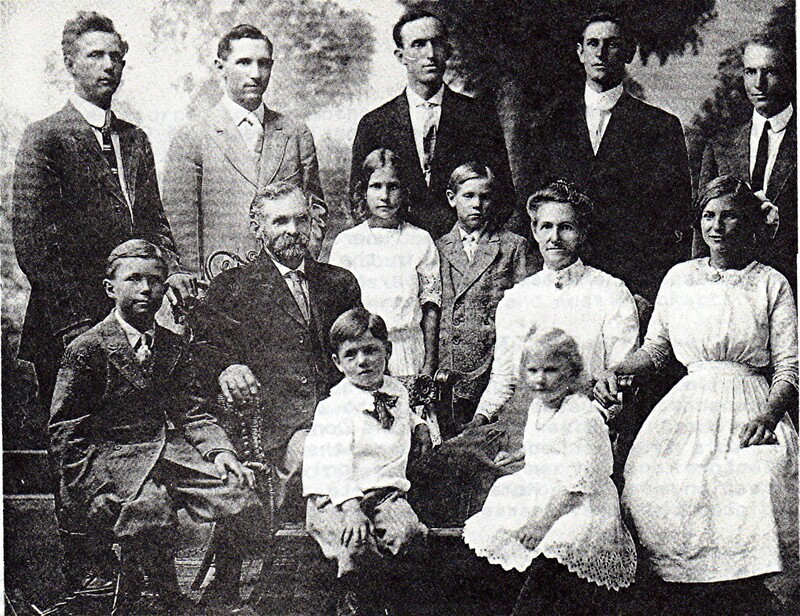 She was proceeded in death by her husband, Ellis Seth Jonas; her sons, Kent Ronald Jonas and Dan Ellis Jonas; parents, Mary Geraldine Fulkerson and Ronald Nelson Pitcher. 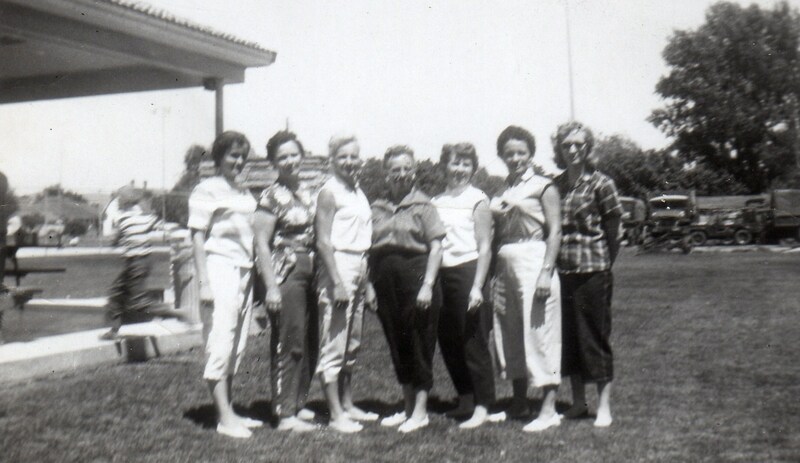 She is survived by her children, Mary Lou Jonas (Jarel Hoyt), Julie Ann Jonas (Darnell Kowallis), and Ronald Nelson Jonas (Denise Chambers); and sisters, Faye Pitcher (Don Schiess) and Jenness Pitcher Pond. She has 11 grandchildren and 18 great-grandchildren. Funeral services will be held at 11 a.m. Saturday, 4 June 2016, at the LDS meetinghouse at 79 E. 200 South, in Smithfield. A viewing will be held from 6 to 8 p.m. on 3 June 2016, at Nelson Funeral Home, located at 85 S. Main St., in Smithfield. There will be a viewing for family and friends from 9:30 to 10:30 a.m. prior to the services at the church. She will be laid to rest in the Smithfield City Cemetery. 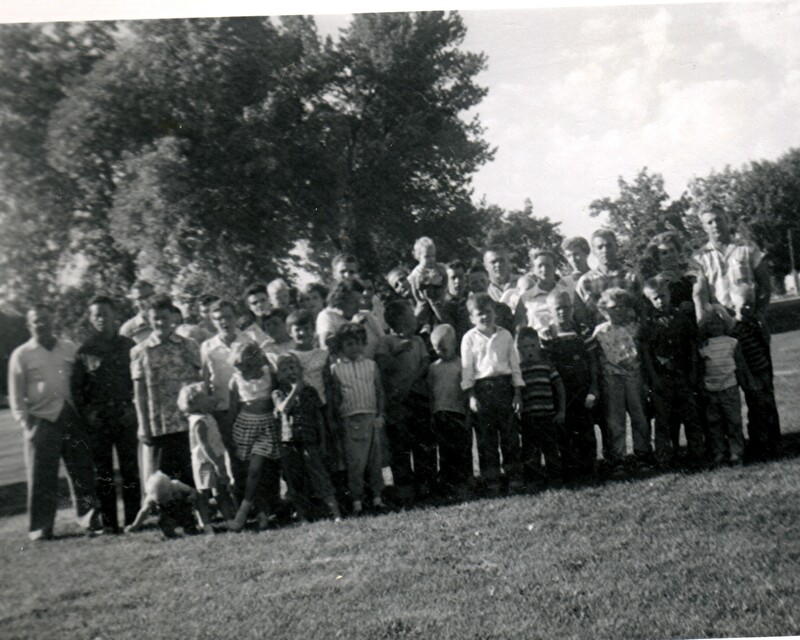 I don’t have any of the family reunion photos from the past 10 years to share. Maybe some of the rest of the family will share them or provide a copy to me so I can share them. I really came to know Uncle Ellis and Aunt Geri (I know others spelled it Jerri, but I always used Geri and she signed my birthday cards that way too) while I was at Utah State. I stopped in after I moved there in 2003. As I got to know them quite a bit more, they invited me to dinner. Eventually I fairly regularly went to Smithfield to get away, study, and do laundry. It turned out to be a great opportunity to get away from campus, relax, and do homework. 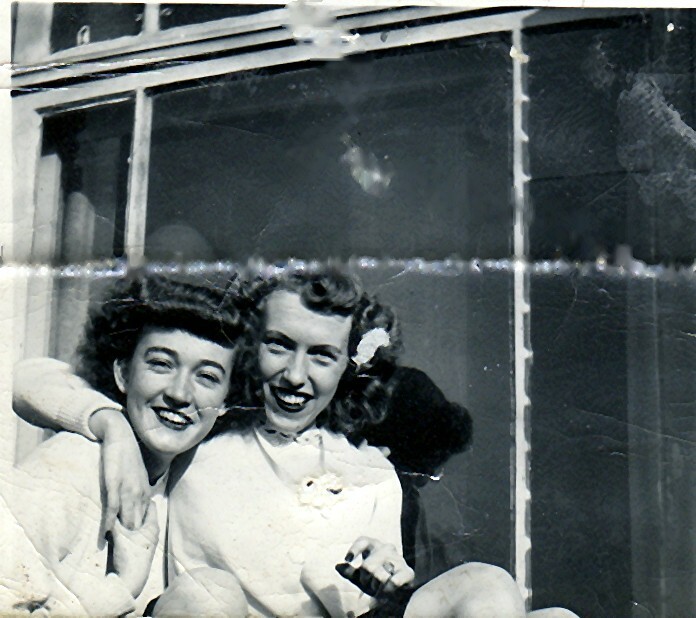 I got to know Geri’s Mom, helped clean her home, and even did work for Jenness at her home. I gave Ellis some books that I had that I thought he might be interested in and he gave me some of Great Grandma Lillians books as well as Great Grandpa Joseph’s books. I still have them all. Eventually I graduated from college, married, and moved away. 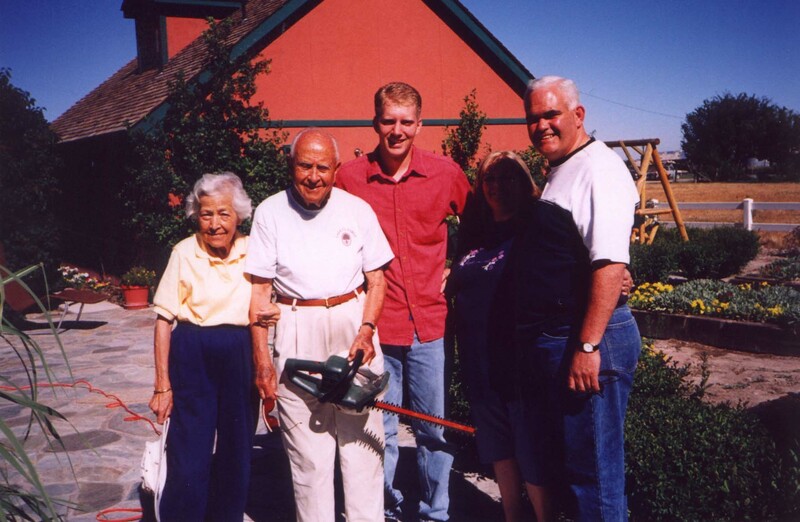 I always felt very welcome in their home and Geri always felt at ease to help me do things around the house. I don’t know how many times I helped her weed some of her flower beds. I wish I could have gone to the funeral but my own daughter, Aliza, was in the hospital. Farewell until we meet again. On the 10th we made a pilgrimage to Logan for our own time while living on Darwin Avenue. We certainly miss our time at Utah State University and in Cache County, Utah. We all know that people are just dying to get into Utah State, almost quite literally. The campus now completely surrounds the Logan Cemetery, although not technically on campus. Since we were driving around the school, I had to stop and at least pay homage to my ancestors buried in the cemetery. 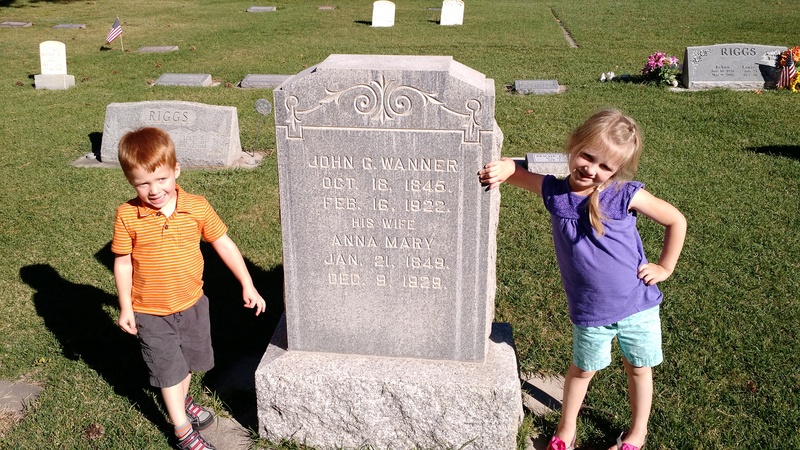 John and Anna Wanner are my 3rd great grandparents, 4th to Aliza and Hiram. I have written of them before. Their son, John Jr, his daughter Regina, her daughter Mary, her daughter Colleen (Lillian’s middle name), her daughter Sandra is my mother. I have to note that this post will post on John George Wanner’s 170th birthday, who was born 18 October 1845 in Germany. 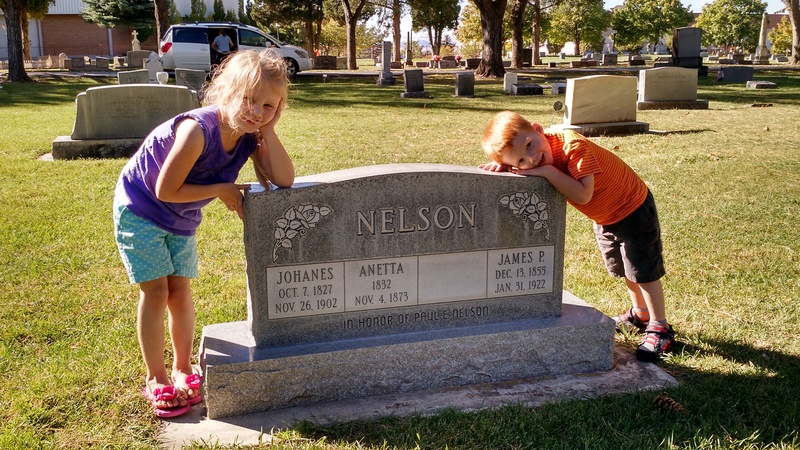 John (Johannes) and Anetta (Agnetta) Nelson (Nilsson) are my 3rd Great Grandparents. Their daughter, Annetta, her son Joseph, his son Wilburn (Norwood is his middle name but what he went by, his daughter Sandra is my mother. I have yet to write their history, but you can read quite a bit from their son’s autobiography, Nels August Nelson. 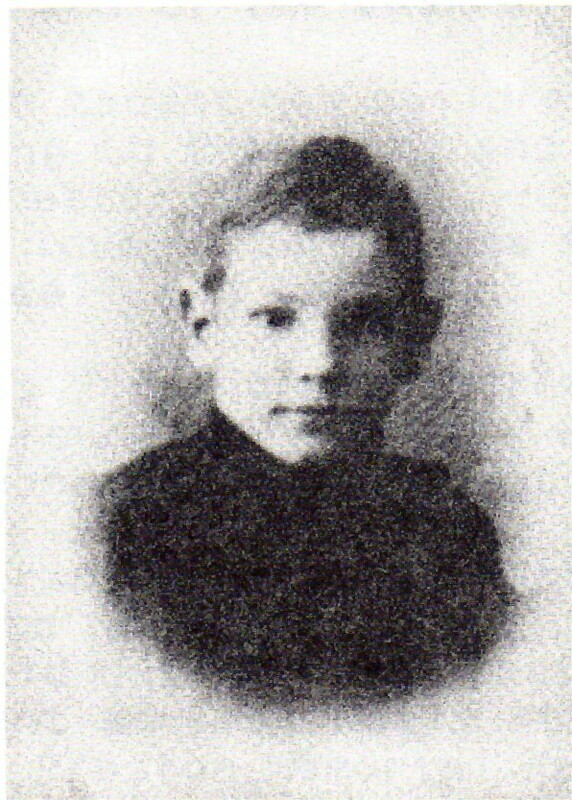 Note that this month, John was born 188 years ago on 7 October 1827 in Norway. How thankful I am that Logan Cemetery maintains its graves in such a dignified manner. May it continue to do so. Other cemeteries in which my ancestors repose (like Richmond and Preston) have done far less in reverential treatment of these sites. In the background you can see part of the Dee Glen Smith Spectrum. 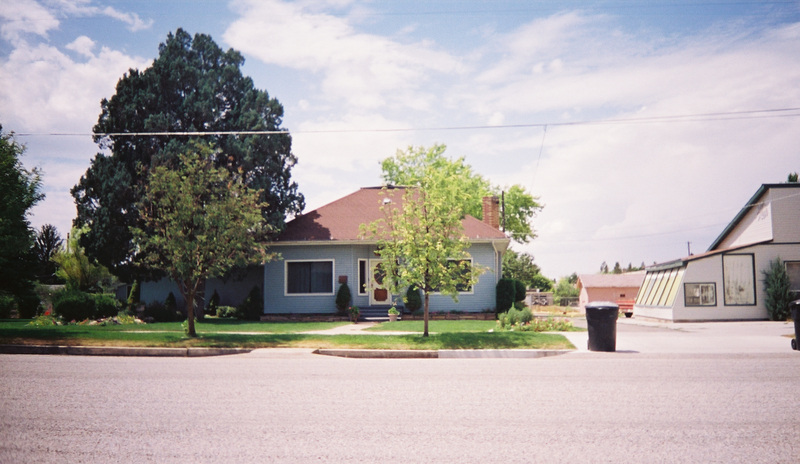 A location of MANY memories while at Utah State University.